With heavy rains and floods devastating Karnataka’s Kodagu district, the country’s largest coffee-growing region is staring at heavy losses as many of its plantations are in ruins, a top official said. 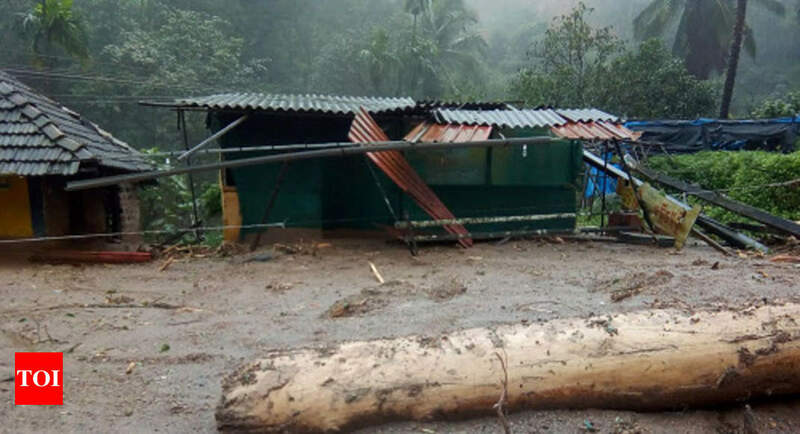 “We were expecting a good coffee output this year, but due to heavy rains and floods, about 60 per cent of the berries in the district have been destroyed,” Coffee Board chairman MS Boje Gowda told IANS here. Noting that rains and landslides had eroded the top soil and excess moisture damaged the coffee estates, Gowda said hundreds of planters and small growers would have to wait a year for the new berries to sprout and ripen. With 45,000 growers producing 40 per cent of India’s coffee, Kodagu contributes a major quantity of the aromatic beverage. Its adjacent districts — Chikkamagaluru and Hassan, the region in the southern state’s Western Ghats — account for 70 per cent of the country’s bean production. “With more southwest monsoon rains forecast till September, we are worried if the plantations will be further affected,” observed Gowda. The district, whose economy is driven by agriculture, including coffee, pepper and paddy, produced 1.16 lakh tonnes of Arabica and Robusta varieties of berries in fiscal 2017-18. “The growers are likely to incur a cumulative loss of Rs 675 crore due to the damage to their plantations as the average coffee price is Rs 1.5 lakh per tonne,” lamented Karnataka Planters’ Association (KPA) member N. Bose Mandanna. According to the Coffee Board, of the 3.16 lakh tonnes coffee produced in fiscal 2017-18, Karnataka accounted for 2.22 lakh tonnes of the Arabica and Robusta varieties. “Due to the natural calamity damaging over 50 per cent of the plantations, the output of berries in the district will be around 45,000 tonne less this year,” Mandanna, a grower at Suntikoppa in the hilly district, told IANS. As plantations in flood-hit Kerala across the Karnataka border were also severely damaged due to unprecedented rains and flash floods, the overall coffee production this year is projected to be 20 per cent less than the 3.16 lakh tonne harvested last year. “Though we were expecting 20 per cent more production in fiscal 2018-19 over the last year, we fear the output will be lesser by the same percentage as the coffee-producing districts in Karnataka and Kerala have been flood-hit,” Coffee Exporters’ Association of India President Ramesh Rajah told IANS. Together, Karnataka (70 per cent), Kerala (20 per cent) and Tamil Nadu (6 per cent) make up for 96 per cent of the country’s coffee production. With plantations water-logged, hundreds of workers have shifted to the relief camps the state government has set up, while others have moved out of the region. “As the coffee sector is labour-intensive, 70 per cent of the expenditure is spent on workers — towards their wages and social costs, including provident fund, health, education of their children and housing,” noted Mandanna. As the estates have suffered heavy damage, the workforce requirement will be less this year. The planters in the district employed 2.63 lakh full-time and part-time workers in 2017-18. The Coffee Board and the KPA have urged the Union Commerce Ministry to waive loans of the planters and growers to enable them recover from the huge losses. “We have submitted a memorandum to the ministry, seeking waiver of loans raised by coffee planters and to allow them to borrow soft loans,” Gowda said. The KPA also wants the state-run banks to give loans at three per cent interest rate as in the case of farmers. “As coffee plantation is classified as cash crop, the growers are forced to take bank loans at higher interest rates. But the need to have a higher work force makes growing coffee expensive in the absence of mechanised production as in Brazil,” pointed out Mandanna.